Citywire Article: Can You Spot A Bubble? What About Now? This is my most recent Citywire article on an academic study of bubbles. Despite what Eugene Fama asserts, they have telltale signs. The return of volatility earlier this month set stock markets on edge, but are we really in bubble territory? Early last year, Harvard professors Robin Greenwood and Andrei Schleifer, along with a graduate student, Yang You, wrote a paper called ‘Bubbles for Fama,’ in which they tried to satisfy Fama’s request for a definition of a stock market bubble. 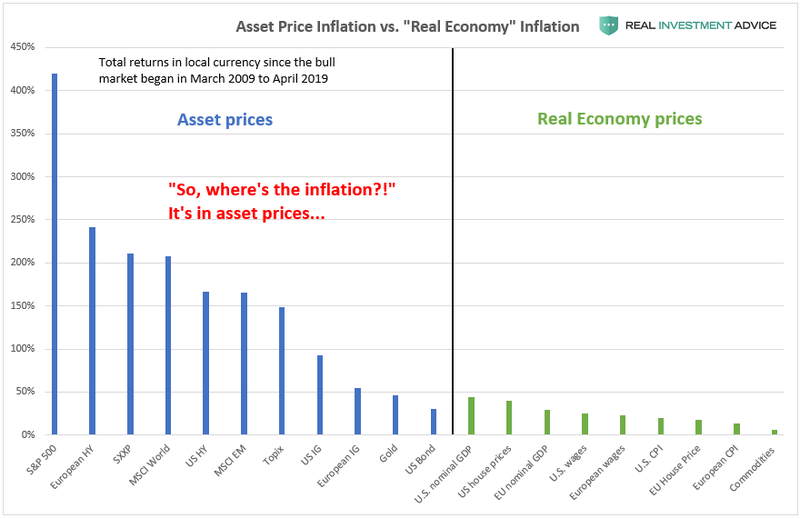 First, the authors established that what we call a bubble is in fact a price increase of at least 100% over a two-year period, followed by a drop of at least 40% over the subsequent two years. Because the two broad market events widely viewed as bubbles – 1929 and 2000 – had strong industry components, the authors concentrated on industry price moves. In 1929, utilities satisfied the authors’ definition and in the late 1990s, technology stocks fitted the bill. Industry run-ups also provided more data points and lent more ‘statistical power’ to the study. This approach also allowed for comparisons between industries experiencing run-ups and other, unaffected industries. For some, this definition might be a little restrictive – perhaps including Boston-based asset management firm Grantham, Mayo, van Otterloo (GMO), which defines a bubble as a two standard deviation event. For example, the relationship between house prices and household income surged to three standard deviations above its mean in 2006, satisfying GMO’s definition but falling short of Greenwood and Schleifer’s. In any case, the authors of the 2017 study applied their more restrictive definition to US industries, finding a total of 21 bubbles between 1928 and 2012. While they agreed with Fama that subsequent average returns after a 100% run-up within two years are no different than at other times, the probability of a crash does appear to increase. The 21 industry bubbles identified come from 40 episodes in which an industry surged by 100% or more net of market returns. In other words, crashes followed run-ups in 53% (21 out of 40) of these cases. The remaining 19 price run-ups just kept running, at least for the next two years. When the net of market return for the industry reached 150% over the two-year period, the probability of a crash – a 40% drawdown over the subsequent two years – increased to 80%. Combining the crashes with the run-ups that kept running, the authors found that to be a statistically significant increase in the risk of a crash, despite no significant change in subsequent average returns, as Fama noted. What’s more, Greenwood and Schleifer found that those price increases that ended up as a crash were associated with higher volatility, increases in equity issuance over the trailing year, disproportionate price increases for the newest firms and above-average price/earnings ratios. No fundamental characteristic – such as price/sales ratio, for example – distinguished the price run-ups that crashed from those that did not. Finally, the authors repeated their test for international stocks between 1985 and 2013. Although this presented some complications in the way that industries run across countries, the average returns of all the episodes were not unusual, confirming Fama’s point. However, 51 of 104 price run-ups ended up as crashes, which the authors again deemed to be statistically significant. Average returns may not look unusual, but there is a disproportionate number – in other words, a higher probability – of crashes after such strong run-ups. So is the stock market currently in bubble territory? Not according to Greenwood and Schleifer’s criteria. After all, although bitcoin may satisfy the criteria, there has been no 100% run-up of the stock market itself or of any single industry within a recent two-year period. Nevertheless, investors might be concerned that the market roughly quadrupled from its bottom in 2009 through January 2018, with only minor declines in the summer of 2011 and the winter of 2015-2016. The Shiller price/earnings ratio sits in the low 30s too – a level it has reached only at or on its way to the previous bubbles in 1929 and 2000. That metric may be slow to revert this time, as GMO’s Jeremy Grantham has argued, or a new, higher mean may be needed given that companies and industries are now more profitable than those that existed in the early 20th century. But even so, the fact that the metric sits more than two standard deviations above its long-term mean of 16.8 should give investors pause for thought.